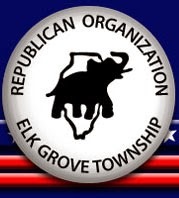 The "Republican Organization of Elk Grove Township" have released their full list of endorsements in the 2014 GOP Primaries. We've covered how they endorsed Doug Traux for US Senate of Jim Oberwies already (read that story here), but they also endorsed a candidate for Illinois Treasurer: Tom Cross. Tom Cross is proud to announce that the Elk Grove Township GOP endorsed his candidacy for State Treasurer. The threshold for a vote is a high 60%, which Tom received in their meeting last week. You can also read more details here on the Illinois Review who had the news over the weekend.